Desmond Green’s opponents have a history of coming in way over weight. Instead of getting mad, he is getting bigger and loving it. Fighters missing weight is one of the hot button topics right now in the UFC. 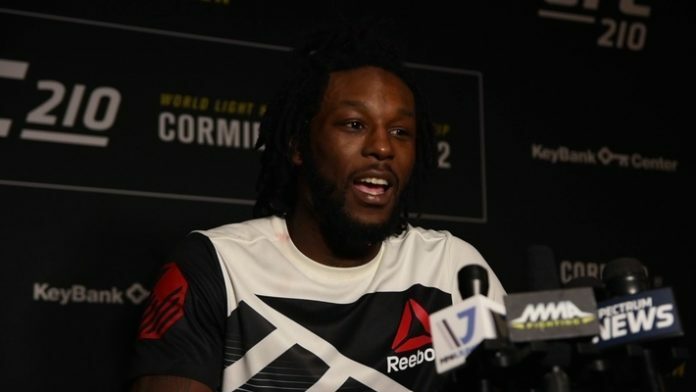 For fighters like Desmond Green, it has played a large role in his UFC career. Twice having opponents come in close to five pounds over weight. Green has worked on putting on muscle instead of worrying about what other fighters are doing. It’s worth noting that Green’s opponent Ross Pearson came in on weight, but it will be interesting to see how the addition of muscle affects Green. With this being Green’s sixth UFC fight, he is ready to have a breakout year. Looking to be active and have his name in the upper echelon of the UFC’s lighweight division. Listen to the complete interview to hear Green talk about now being a veteran in the UFC, his opponent Ross Pearson, and his love for the NCAA Wrestling Championships. Desmond Green fightts Ross Pearson at UFC on ESPN 2 LIVE on ESPN + from the Wells Fargo Center in Philadelphia, PA. Prelims start at 3:30 pm ET/ 2: 30 pm CT. Stick with MMANews throughout the night for results.